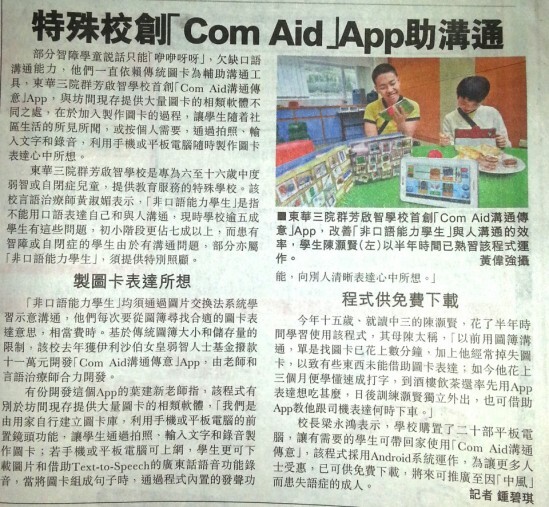 ComAid Autism Communication App is featured by 3 local newspapers. 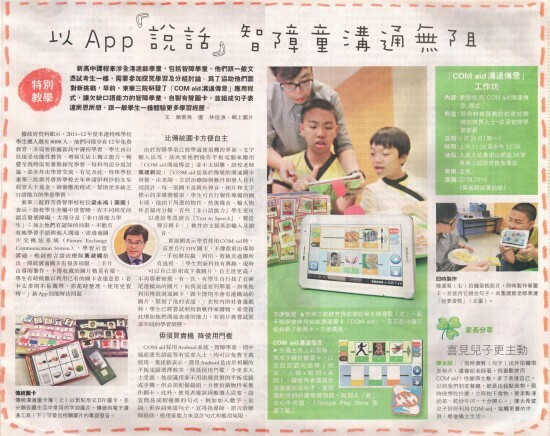 The mobile app Developed by SillyCube Technology Ltd, cooperated with Tung Wah Group of Hospitals is featured by Mingpao, Singtao Daily and Hong Kong Economic Times. SillyCube proudly developed the app to create values for the minority group in the society. The app can be used for communication using simple gestures. Powered by Android tablet, the app can form a sentence using flash cards representing verb, object, subject, etc. The sentence can be pronounced with “text-to-speech” technology in real time. The project is subsidized by the Queen Elizabeth Foundation for the Mentally Handicapped. We are very honored to take a key role in the project. 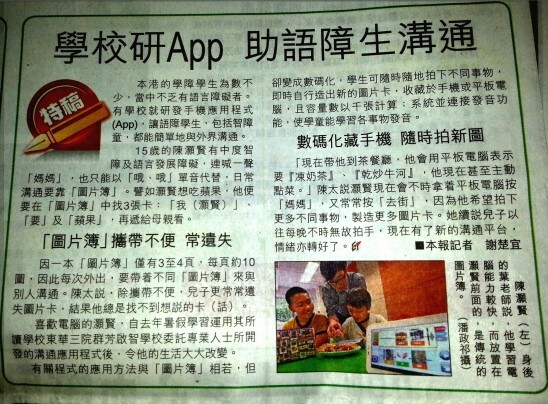 This entry was posted in Customer Reference, News, Press Coverage and tagged android apps, android apps development, mobile apps development on May 17, 2013 by bennychan.